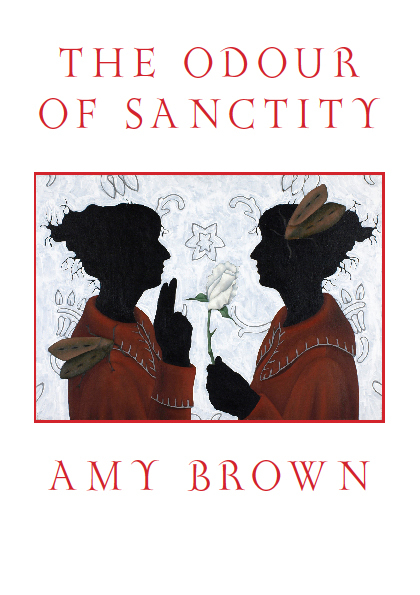 On Saturday night we launched Amy Brown's new epic poem, The Odour of Sanctity, at the Adam Art Gallery. Here Amy talks about sending a copy to Neutral Milk Hotel's Jeff Mangum, a character in the poem. There are six ‘candidates for sainthood’ in The Odour of Sanctity, one of which is based on a living, soon to be visiting New Zealand, person. If I were faithful, I might think the recent reformation of Neutral Milk Hotel were fateful. When the band announced four shows in New Zealand at the end of the year, I took it as a sign; an invitation to post Jeff Mangum a copy of the book in which a fictionalised version of him is made a candidate for sainthood. Please stay here on our sofa. An innocuous reference, so far, but one she hadn’t permitted. Who, she is entitled to wonder, is this person on the other side of the world imagining me and my ex-boyfriend sitting on a sofa together? I didn’t mention in my email to Laura that her name was the first word of the poem. Instead, I asked if she would mind passing on to Jeff a book I had written, which includes a fictionalised version of himself and his band. Laura replied the next day. Sure, she said; she’d give it to him. I could post it to the studio in Athens, Georgia. The same Athens, Georgia, where I had imagined Jeff buying a copy of The Diary of Anne Frank (“The only one I wanted to rouse was Anne Frank.// I found her diary in an Athens secondhand store . . .”), to which much of NMH’s last album, In the Aeroplane Over the Sea, is a tribute. If he can use Anne Frank’s story in his songs, I once thought, I am allowed to use his in the poem. I often forgot while writing that he was still alive somewhere, and Anne Frank was not. I wrapped the book in brown paper (as if it were a gift or something illicit) and accompanied it with an apology/thank you note. Each of the sentences wanted to start with “I hope”. The card is written with a fountain pen—globs of blue ink indicating nerves. What a nerve! No, he wouldn’t say that; he isn’t the heroine of an Enid Blyton novel. But he might think the equivalent. I have done enough speculating about what Jeff Mangum would think or say in certain situations. Now I will just send the parcel. I complete the green security form and sign to confirm that the item isn’t dangerous. The parcel should arrive in Athens, Georgia, in ten days. I don’t know when Laura Carter will see Jeff Mangum next. I do know that Laura’s band Elf Power is scheduled to tour with Neutral Milk Hotel in October. The last time the bands toured together was at least fifteen years ago—the period imagined in The Odour. It was on the cusp of NMH’s global popularity, before Jeff found the attention from fanatics too much and retreated. That is how the myth goes anyway. Fifteen years on, the myth is probably out of date. I hope, if the parcel doesn’t go missing, if Laura Carter passes it on, and if the brown paper is unwrapped, that Jeff sees my version of him as a (believable, likable) character rather than as himself. A character that includes my own stories (the time I woke to find a headless kitten and a murderous cat on my bed; a conversation with my boyfriend about the way aeroplane wings work; a friend’s anecdote about taking her pet rats for bike rides). A character who enters a sonnet-writing competition with Christina Rossetti. A character whose music raises a sufferer of takotsubo cardiomyopathy from the dead. A character who, inside the mythical Jeff Mangum, is an amalgam of many selves, friends and influences.